TheClassicCarFactory.com Sells Restored Classic Cars, Reviews New And Old Automobiles And Sells Zebrano Wood Dash and Door Panel Upgrade Kits For The Mercedes Benz 190e 190d and Cosworth 2.3 -16V W201. The 8 Series: The Most Beautiful BMW Ever Produced. 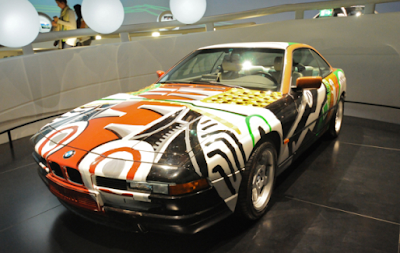 The luxury version with hand-stitched Italian glove leather throughout the cabin, designated the L6, and the M6 a hand-built variant designed for performance driving, were only available for 1987 and 1988. Prices ranged from about $40k to $50k. 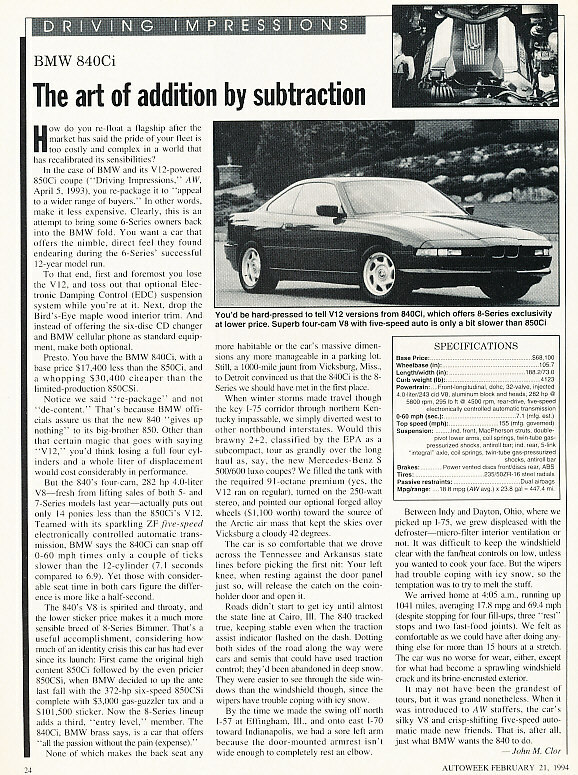 A successor to the 6 Series was anxiously awaited by the faithful, with spy photos and news leaks starting with development of the new model on 1986. What BMW did not communicate well to the public was that the E31 8 Series was intended as a new model featuring state of the art and break-though technologies, designed to push BMW further up-market. BMW spent an extraordinary amount of time and money on the E31 development. 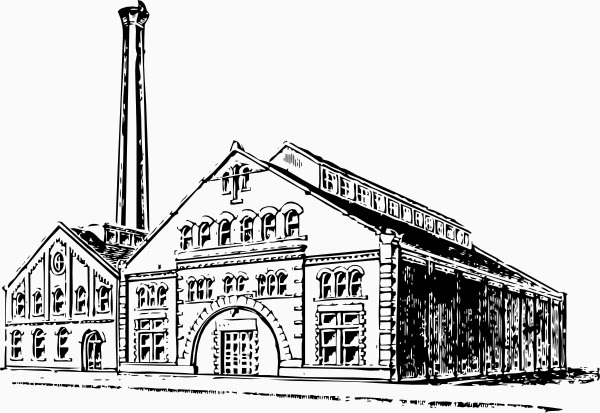 Over $1 Billion US had been invested before a single example rolled out of the factory. BMW designers added high-beam flashers into the grille lights for passing slower traffic so the headlights would not need to be raised; Fascia alludes to the M1. The simple, clean almost Kamm-back design of the 8 Series tail.
" drive by wire " technology eliminating the mechanical connection between gas pedal and engine speed; seat structure was reinforced to incorporate the driver and passenger seat belts, allowing designers to eliminate the B-Pillar and ( with the exception of the Mercedes SEC ), create the first hardtop coupe seen since the 1970's. Initial years featured a very sophisticated multi-link rear suspension. the sport aluminum and directional light alloy rims. Initially only one model was available in 4 speed automatic or 6 speed manual. Both were motivated by a V12 - basically two in-line 6 cylinder engines mated together with a output of just shy of 300HP. A rare 396 HP 850csi would appear with an M engine. Absolutely Beautiful Styling From Ever Angle. 1994 Models added the turn signal indicator behind the front wheel arch. Unfortunately for BMW, the 8 Series introduction was inconveniently timed with a world-wide recession, spiking gas prices, and a war in the Gulf. Add then there was the price. Once gas-guzzler taxes, state sales taxes and dmv registration were added, this was a $100k car. Buyers hoping to replace their 6 Series walked across the street to Mercedes and the new kids on the block, Lexus and Infiniti - or just decided the 5 Series was more appropriate. Placing the gas door panel over complex creases in the body is a testament to the quality and confidence of BMW's manufacturing processes. quad exhaust pipes, the cars were visually identical. In many respects, the 840ci was actually the better car, as agreed by Autoweek in the article above. With less than a 10Hp difference between the 8 and 12 cylinder cars, buyers had difficulty justifying paying $30k more for the 850. The lighter weight of the 8 cylinder also made the car feel more nimble, and average gas mileage could be almost twice as good in regular driving, achieving close to 25 mpg highway. Oddly, the exhaust note of the 840ci also sounded better, giving off a throaty powerful rumble as opposed to the 12 cylinder's silky smooth and subtle operation. All business in the 1994 8 Series cabin. Wood trim would be added in 1995 to the console. On-Board Diagnostics, 2 zone temperature controls, ASC and heated seats with lumbar adjustment were standard. At speeds in excess of 90mph, all windows and sunroof automatically close themselves - creating quite a surprise to the unaware driver. Rear seating was 2+2 style and unfortunately lacking any legroom due to the front seat structure. 1994 models allowed the rear seat backs to fold down, creating a very usable rear shelf. Nappa leather covered seating and sections of the door panels. Frameless side windows close into the roof, automatically lowering once the door handles are touched. The thin and graceful C-Pillar afforded excellent driver visibility. The center of the rear seat back hides a ski bag pass-thru into the trunk. The 8 Series trunk is unexpectedly large and useful. two batteries - made specifically for the car, are stored in the side panels, as is the CD changer. Fully carpeted, a complete tool kit resides in the lid. Production of the E31 ended for the US in 1997, but continued in Europe through 1999. 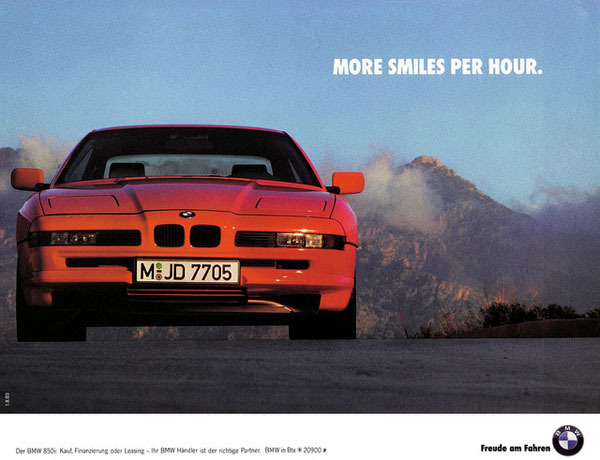 Total US sales for the entire 1991-1997 model years totalled only 7232 cars - 75% LESS than BMW had anticipated. 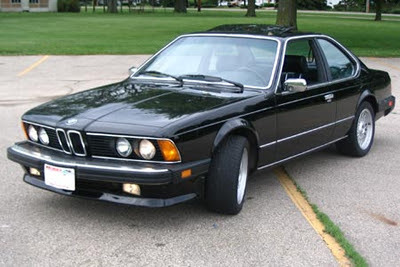 Worldwide, about 30,000 E31's in all configurations were assembled, making BMW's development costs PER VEHICLE nearly $35,000 before the first part was assembled. This was one-third the number of 6 Series sold. Despite it's sales failure, the 8 Series remains extremely popular among those fortunate to own them, and many consider it to be the most beautiful BMW ever produced. This 1994 BMW 840ci is finished in original factory Schwartz Black with Black Leather Interior and optional Directional Sport Alloy Wheels. A two-owner car currently with 80,000 miles, it remains in my personal collection; my car of choice when taking a 100 mile+ drive. Thinking of Buying An 8 Series? Owning an e31 8 Series affords admission to a very exclusive club. While seen regularly in California, they are extremely rare throughout the rest of the US. In the 3 years I have owned this 840ci, I have not passed another 8 Series on the road. My local BMW dealer had NEVER seen one. Having owned both the 12 cylinder 850i and the 840ci above, I would highly recommend the 840ci as the overall better choice- unless you want a manual 6 speed. The cars are visually identical, the horsepower and performance in real-world driving is about the same, and the gas mileage is great for a 300 HP V8 at 17- 25. More importantly, engine components are shared with the 5 and 7 Series of the era, so far less costly than the V12 - which seems to have two of everything. Trim and cosmetic parts are VERY expensive with most requiring air freighting from Germany. Most BMW dealers have little to no experience working on these cars outside of California, so finding a knowledgeable mechanic is crucial. Proper adjustment of the windows is important re: wind noise, water intrusion and simply to keep them from not breaking. A common and annoying problem related the General Module causes the door locks, wipers, courtesy locks and trunk to stop operating below approx 40 degrees F. The problem this really creates is that the windows - which seal into the roof channel - will not drop, and therefore you will not be able to get into the car. Because of the EXTREME limited production pay up at acquisition and buy the best example you can find. It will save you thousands of dollars. Questions about the E31 8 Series?....email me! 560SL | The Next Collectible Mercedes-Benz Roadster.